Bang & Olufsen announces a new collaboration with the cult-classic director, screenwriter, actor, artist, and musician David Lynch. The collaboration introduces a special edition speaker collection with artwork by the iconic artist, featuring selected images and details from the “War Between the Shapes” series, works on paper created in the 1970s, and from the “Paris Suite” lithographs created in 2007 at the renowned Idem studio. Speakers by Bang & Olufsen. Artwork by David Lynch. Designed to enhance the audio experience both inside and outside of the home, this exclusive collection also includes Beoplay M5, a powerful, wireless speaker with True360 Bang & Olufsen Signature Sound that seamlessly connects spaces in multiple rooms, and Beoplay P2, a truly personal and fully portable speaker, with rich, full-bodied sound and smart-connect features activated with a tap or a shake. 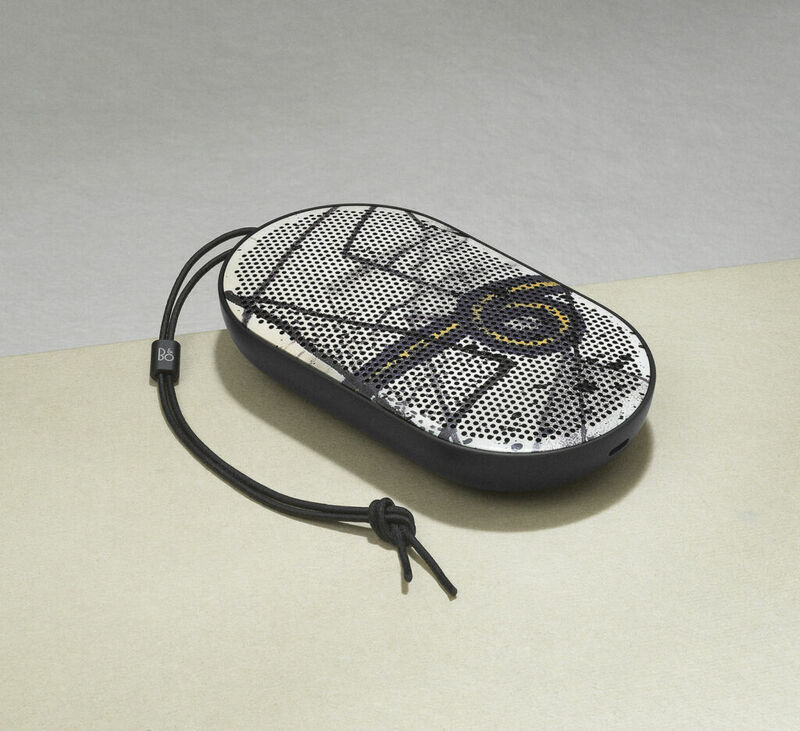 Both Beoplay M5 and Beoplay P2 feature artwork from the “War Between the Shapes” series. David Lynch’s signature is laser engraved on the top of the Beoplay M5 speaker and printed on the bottom of the Beoplay P2. Beoplay M5 and Beoplay P2 featuring artwork by David Lynch will be available, in very limited quantities, at www.bang-olufsen.com/davidlynch and store.moma.org starting October 9; at MoMA Design Stores in New York and Tokyo starting October 10; at David Lynch’s Festival of Disruption in Los Angeles, October 13 and 14; and in select Bang & Olufsen stores, as well as at select retailers, such as Harrods in London, starting November 8. Beoplay M5 featuring artwork by David Lynch retails for EUR 750 / USD 750 / GBP 700, while Beoplay P2 featuring artwork by David Lynch retails for EUR 200 / USD 200 / GBP 175. 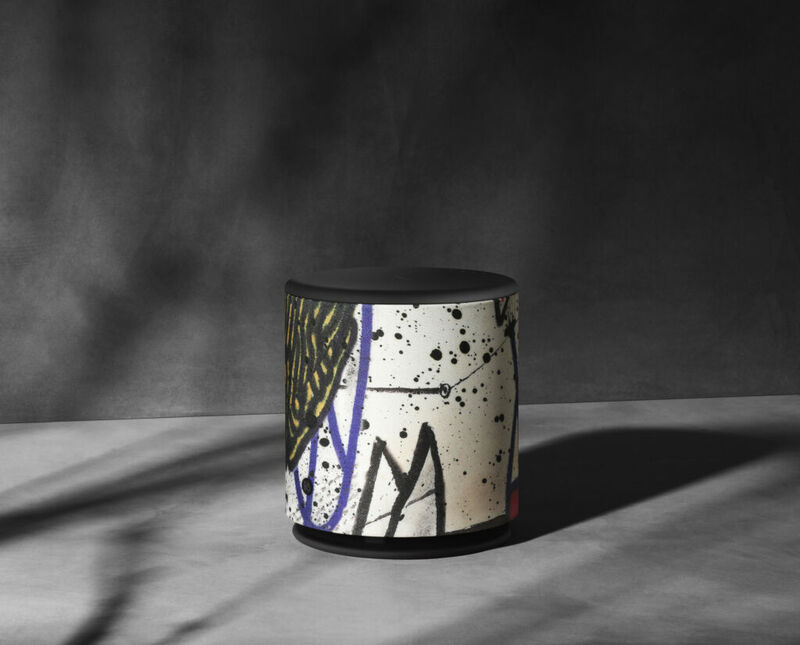 Beoplay A9 and Beosound Shape featuring artwork by David Lynch will be available exclusively at the Bang & Olufsen x David Lynch pop-up at MoMA Design Store, Soho from October 10 to November 11. 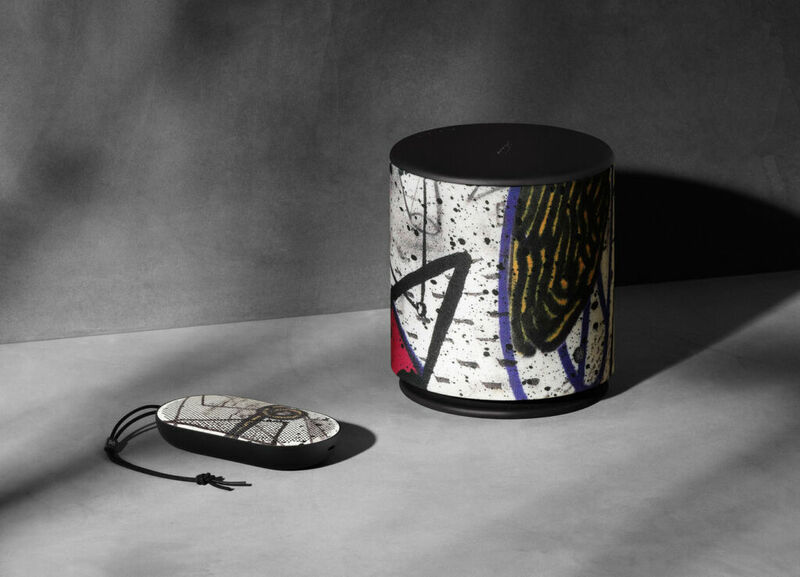 Bang & Olufsen and David Lynch previously teamed up in 2017 to create a limited edition of Beoplay A9 speakers featuring the artist’s famed “Paris Suite” lithographs. All 30 speakers were personally signed and numbered by Lynch and were available exclusively through the MoMA Design Store. Bang & Olufsen’s relationship with The Museum of Modern Art dates back to the 1970s. In 1972, seven products were added to The Museum’s permanent collection. Six years later, in 1978, MoMA showcased an exhibition of Bang & Olufsen’s entire portfolio, entitled Bang & Olufsen: Design for Sound by Jakob Jensen, with a total of 39 pieces. Today, 18 Bang & Olufsen products designed by Jakob Jensen, David Lewis, and Steve McGugan are part of MoMA’s permanent collection.